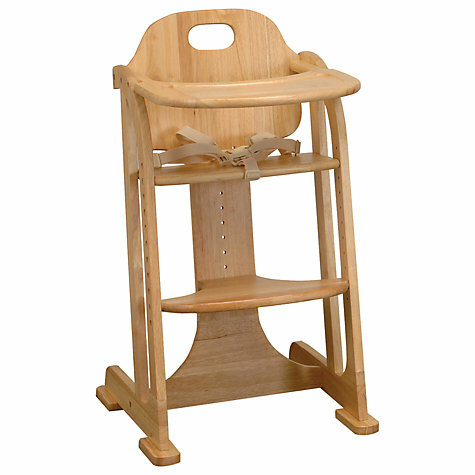 Despite its simple appearance, the chair is brilliantly functional and works to grow with your child. The chair has a detachable tray, adjustable seat and footrest. It is suitable from 6 months to 10 years of age, and boasts three height positions in the highchair and eleven positions in junior suit mode. It is made from solid rubberwood making it easy to clean.